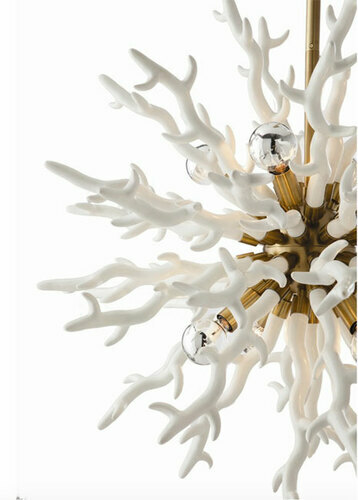 Coral inspired, the large 8 light white lacquered resin chandelier, is as dramatic as it is unique. 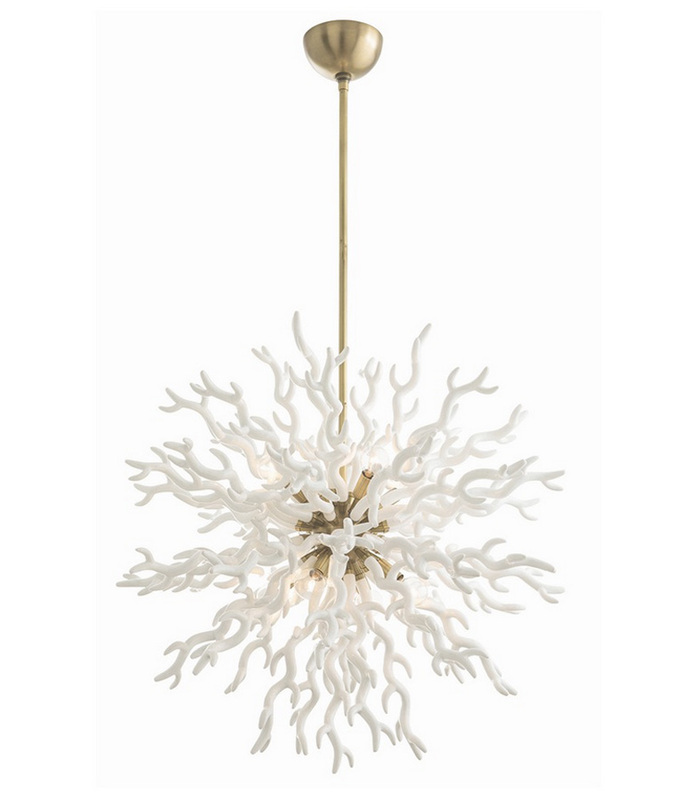 The antique brushed brass center sphere gives it just the right amount of bling. Photographed with silver tip globe bulbs (not included). Approved for use in covered outdoor areas. Additional pipe available. Canopy Dimensions: 3" x 6"